Processing-a flexible software sketchbook and a language for learning how to code within the context of the visual arts. Processing should be downloaded to your downloads folder. Click the processing file folder. 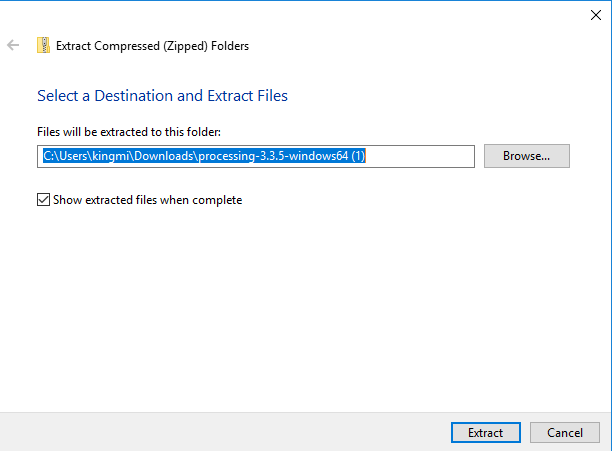 Click Extract all to extract the Processing application folder. Select the destination for the extracted files. Click Extract. Wait for the extract to finish. 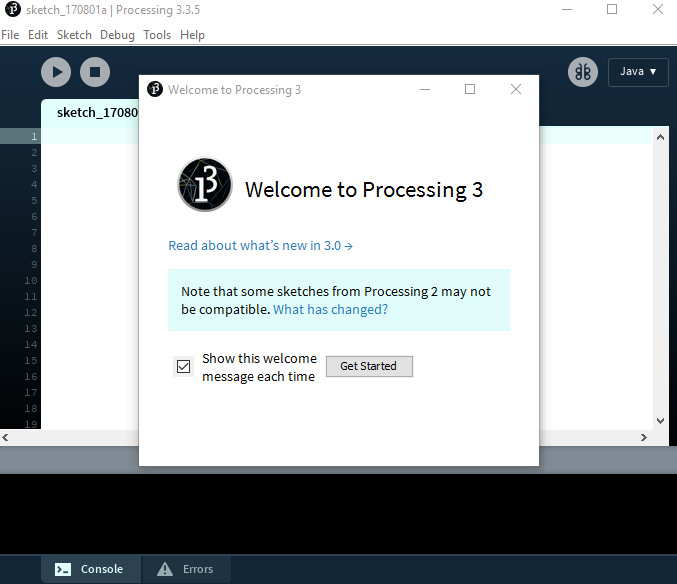 Click the Processing application to open Processing.